I wonder what design they'll use... I hope it's not something bland and uninspiring. I hope it doesn't take about a decade for me to realise the 1 is in the negative space and not the shooshy red bit. Ha, typical 'new management' move that, at least they aren't a council wasting public money I guess. But, don't change it for the sake of it, the current logo I think is quite good. I've only noticed it now that you've both highlighted it. you certainly were not the only one ! There are two reasons they are doing it. First to stamp their mark on the sport, a bit like McLaren dropping the MP4 prefix after booting out Ron Dennis. The other is that from a marketing point of view, it's useful to have a monochrome logo that you can print in any colour. That's why instagram changed their logo a while back. 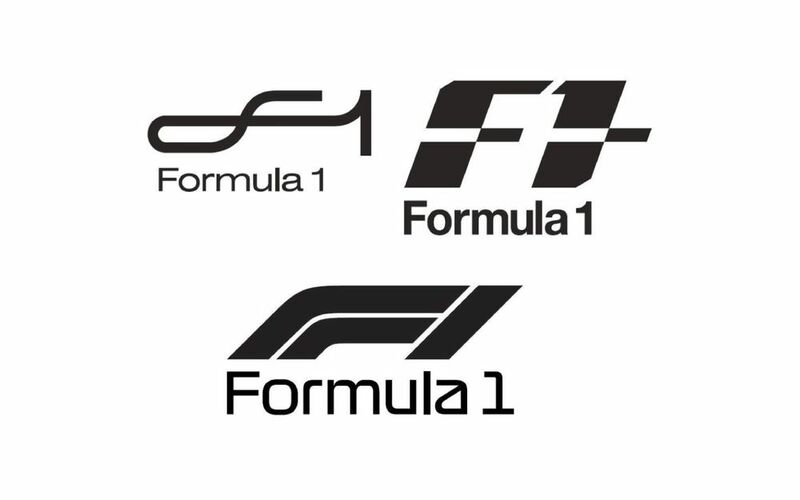 The current F1 logo needs two colours to work correctly. However, all of these logos are poor. They look 40 years out of date. Took me about 20 years to spot the '1' too. Who else missed the arrow int he Fedex logo? And the spoon too? You are not daft. I belong to the same club. Logos are very important for any organization, they spend a lot of money searching for an identity that is in just one little logo. So from a business perspective, it is rational and makes sense. But fans can have mental inertia, they are comfortable with the familiar, and can resist change. And although I always liked the logo and thought it was wonderful, I am not resistant to change. Change is good, it is not being stuck in the past and being willing to face the future. Just as long as the new logo isn't a disaster and winds up on this web site. All those new logo's look like something a college design student would have knocked up 10 years ago. The first one particularly reminds me of a circuit logo, though which one exactly escapes me (which tells you just how forgettable it is). I get the monochrome thing (Juventus have done the same thing recently [football club if you dont know] for similar reasons) and thats a decent way to go, but these just looked outdated already, which for a cutting edge brand like F1 is meant to be, is surely a cardinal sin. This… A GAZILLION TIMES THIS!!! As a designer who has worked on countless branding campaigns over the last 24 years the old adage of if "it ain't broke, don't fix it" sometimes needs to be exercised. The F1 logo's design is what falls into the category of Timeless. It is so unique to anything else while not conforming to any time period or stylization that it literally is perfect. And on top of that it "IS" the most recognizable brand icon in all of motorsport so the decision to change it is ill advised and unwise. Those supposed proposed designs are COMPLETELY wrong in every regard and they lack the one thing the current one does in an instant which is communicate SPEED! The F1 Icon, while not bad, isn't anything special or unique and it does not read all that well/easily and if you know typography you might see the suggestive italicized "A" it creates. I know the current logo does have colour in it, but does it really need it to work? Seems to me like the current logo would work simply switching the red to black/white. I actually think the best idea would be to freshen up the current logo while keeping the same core concept, which I think works well. Sounds like it might be happening irrespective though, in which case my guess would be that they'll go for the first one. No good option though imo: They all look like they're from the 80s. Leave the current design as it is. I created this array of the current F1 logo to show how well it works regardless of color used. If you photocopy anything red on a black and white copier it will reproduce black where as other colors will reproduce in various shades of grays, or lighter blacks. For the human eye in some colorblind folks Red registers as black just the same and the black remains black and reproduces to their retina just the same as it does for everyone without color blindness. The result is a fully monotone image. I read in an F1 publication (can't remember where) that Liberty gave the monochrome issue as a reason and assumed that making it a single colour would only make the negative space even less obvious. Actually, I think the one as negative space is clearer in a single colour. Maybe it’s just because I already know it’s there, but the ‘1’ in the gap looks a lot easier to spot with just one colour too. So you ask yourself what someone completely unfamiliar with Formula One and that logo thing means to them. Or get a few test subjects, allow them to view the logo and give their impressions on what they take away from viewing the logo. And as F1 MERCENARY is muttering "that's just market research", that is what any organization will do before they reveal to the public their choice. IMO any new logo will be targeted at those unfamiliar with Formula One, prospective new fans and TV viewers. Listen to F1 MERCENARY, he knows this stuff, much better than I and likely better than anyone in this forum. Ok I've been staring at this bloody thing for about 20mins and I still can't see anything!. I'm having flashbacks to school and spending way too long trying to see something in those magic eye books but being the only guy not to see it. I don't know about any spoon, but the arrow is formed by the lower part of the 'E' and the left side of the 'x'. I'm fully in agreement with everyone saying that a) the logo doesn't need to change, because it's good right now and b) those options are all completely uninspiring. The current logo looks timeless and modern, whereas if I had just seen those logos without context I would have assumed they were failed proposals from the 1980s. It took me around 30 years to notice that. Anyway I guess a change will keep the focus groups busy for a while. I really love how F1 management time and again can so effectively drill down and really get to the core of the big issues that are affecting sport and take decisive remedial action to correct the imbalance. Well done team. Well bloody done. Definitely. Really got the mixture of suspense/excitement level up before a race. The current one is a disappointment every time I hear it. I understand that the negative space 1 in the current logo doesn't work as well if the logo is on a cluttered background, but there are other ways to solve that issue. It's clever, it implies speed, it's recognisable, and it has so far stood the test of time. Changing one's logo for the sake of changing it is rarely a good decision. Bring back the car with the box on the front! Anyhewww, Liberty have announced they will reveal a new logo after Abu Dhabi. Are you sure it's intentional? What the heck does a spoon have to do with FedEx? Hey, there's an egg in the logo too. And something that looks like an upside smile. So the new F1 logo is an "n"? Talk about change for change sake. There was nothing wrong with the old one. I agree with others here, nothing wrong at all with the old logo and the new one looks like @#$% (fill in your own expletive).